Make up your mind, human. People have considered me special in one way or another my entire life (65 years now). If I had to do it again, I would trade it for a normal life in a heartbeat. Sadly, being "special" is no guarantee of happiness. I am still trying to figure out what is special and what is normal. 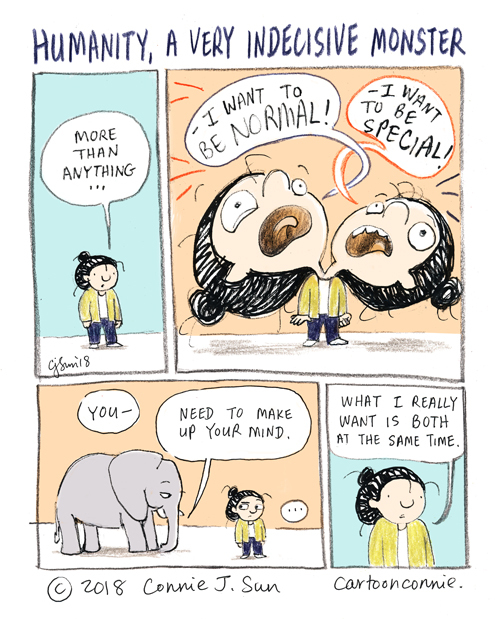 I guess being normal is being special! I come from a family of "special". My goal for my children - the 1st generation "special" that is not ALSO "messed up". My goal includes happiness, but in that complex and realistic way that just doesn't last past kids birthdays.